As chairman and CEO of News Corp., Rupert Murdoch commands what may be the world's most powerful media empire, spanning movie studios, television networks, newspapers and a growing stable of Internet properties, including the wildly popular MySpace social network. In 2007, he purchased Dow Jones, which owns The Wall Street Journal and wsj.com, as well as this conference and its associated Web site, AllThingsD.com. 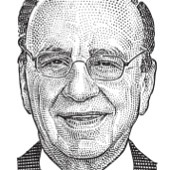 Mr. Murdoch, an Australian by birth and an American citizen, is a graduate of Oxford University and a canny, outspoken and often controversial business executive. He has a personal passion for news and a deep interest in the transition from traditional print and broadcast forms of journalism to digital formats. News Corp. Chairman and Chief Executive Rupert Murdoch filed for divorce from his wife, Wendi Deng Murdoch, in New York State Supreme Court Thursday morning, citing as grounds “that the relationship has broken down irretrievably,” spokespeople for Mr. Murdoch confirmed. Look out Facebook! Hours spent participating per member dropping seriously. First really bad sign as seen by crappy MySpace years ago. After all, it worked, more or less, for AOL and Time Warner Cable. Alas, Time Inc. is a different story. The media conglomerate, which plans to separate its entertainment businesses from its publishing businesses into two separate listed stocks next year, said the publishing company would have reported a net loss of $2.08 billion in the year through June 30 if it had been a stand-alone company. Exclusive: Could Jon Miller’s Digital Future at News Corp. Include a New Investment Fund? Top CEOs Aren’t Using Social Media, Study Says — Should They Be? I did not try to buy Twitter. — Google’s Sergey Brin at the 2009 Web 2.0 conference.